NGA offers a wide variety of educational programs including on-line training, executive education courses, issue specific conferences and 1-hour webinars. 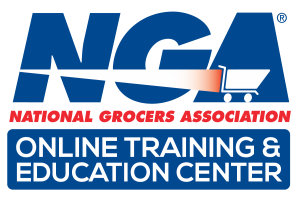 NGA content ranges from on-line training for store associates to executive programs to senior management. Please contact education@nationalgrocers.org with questions, concerns or feedback. The NGA Webinar Wednesday program gives NGA members a convenient, consistent tool to remain updated on a variety of relevant topics. Learn about the latest ecommerce technology or get updated on the most recent labor law regulations, all from the comfort of your own home or office! Webinars are typically offered each Wednesday at 2:00 pm ET. Registration is complimentary for NGA members, $39.00 per webinar for non-members. With more than 40 specialized educational workshops led by retailers for retailers and over 400 companies on our EXPO floor showcasing innovative and game-changing products and solutions, The NGA Show provides countless opportunities to learn from your peers and other industry thought leaders. Bring your whole team to The NGA Show and bring home ideas that will drive profitable growth for your company. The NGA Online Training and Education Center is a people development organization supported by The Coca-Cola Company. As an educational organization, it serves more than 40 companies with blended training program that include 100 industry-specific online courses divided into nine different libraries featuring topics such as food safety and sanitation basics, emotional intelligence, and meat wrapping. Did you miss a NGA Show or webinar program? Not to worry! All live session recordings and webinar recordings live on the NGA Live Online Learning Center. Purchase an individual session recording or access an entire package of event recordings. Pricing varies based on membership status and type of recording.